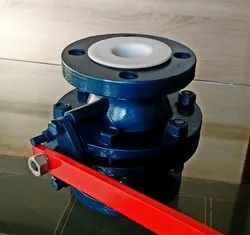 Our range of products include ptfe lined ball valves. Heavy-duty Body of PTFE Lined Valves can withstand varied pressure fluctuations with ease. Appreciated for superb flow control properties, the lined ball valves are quite economical for the long run.